Shantelle has an extensive background in rehabilitation and fitness with experience in athletic training, personal training and physical therapy. She combines her extensive knowledge and passion for helping others to make a difference in her patients’ lives. She always strives to determine the cause of an injury which is often not the site of the pain. 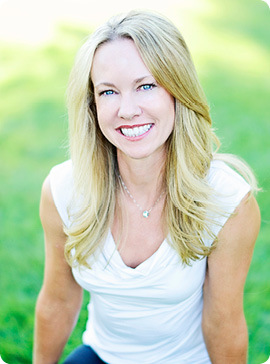 She has been a member of the American Physical Therapy Association since 1996, and has extensive continuing education in manual therapy, therapeutic exercise techniques, nutrition, fitness and sports conditioning. Shantelle graduated from Point Loma Nazarene College in 1994 with a Bachelor’s Degree in Athletic Training, and gained four years of valuable experience treating athletes on- and off- the court and field. She worked as a Personal Trainer at San Diego Fitness and Racquet Center as head trainer in the large club helping people meet their fitness goals. She then received her Master’s degree in physical therapy at Western University of Health Sciences in 1998, and worked in an outpatient orthopedic setting – treating a wide variety of back, neck, headache, TMJ, hip, knee, ankle, foot, shoulder, elbow,wrist and hand patients. She also treated patients in a rehabilitation hospital where she expanded her knowledge and experience with wound care, stroke, traumatic brain injury and spinal cord injured patients. In 2001, she established a successful outpatient physical therapy practice, Four Corners Physical Therapy, in Farmington New Mexico that she owned and operated for 11 years. She became the “go to” therapist for complicated conditions and was known for her genuine care and concern for her patients. In 2012, Shantelle opened Performance Physical Therapy in Durango, Colorado where she practiced as an independent contractor until 2013 when she moved to Maui, Hawaii and worked at IMUA Physical Therapy. In 2014, Shantelle combined all of her knowledge, experience and passion to establish Aloha Physical Therapy and Fitness to bring her caring and skills to you, and strive to give you back your LIFE. Shantelle loves the outdoors, adventures, and sports. She grew up as a multi-sport athlete and continues to enjoy leading an active lifestyle. After riding dirt bikes and racing BMX bikes since age 7, she now races road and mountain bikes competitively. She also enjoys hiking, stand up paddling, Nordic skiing, basketball and volleyball. Her most recent sporting adventures include SUP surfing, downwinding, kitesurfing and paragliding. 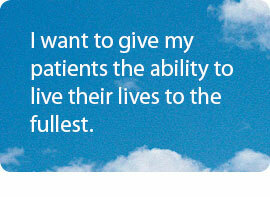 Shantelle loves to live LIFE and wants to give her patients the ability to do the same.